Prior to serving in Congress, Rep. Lewis was a nationally-syndicated radio host on The Jason Lewis Show. After over twenty years on-the-air, Lewis announced in 2014 that he was ending his radio show in order to focus on the growth of his libertarian website, Galt.io. A year later, Rep. Lewis announced his candidacy for the 2nd district of Minnesota. Since the beginning of the 115th Congress just under a year ago, Rep. Lewis has offered much to the discussion and effort to advance limited government, fiscal responsibility, and individual liberty. His campaign platform included many of FreedomWorks policy priorities, including cutting federal spending, reforming the tax code and health care system, criminal justice reform, and adhering to federalism and separation of powers as given in the Constitution. Rep. Lewis has been active in every one of these areas during his first year in Congress. His own Defense Spending Accountability Act (H.R. 2040), Juvenile Justice Reform Act (H.R. 1809), and Reforming Executive Guidance Act (H.R. 462) address cutting federal spending, criminal justice reform, and constitutional separation of powers, respectively. Additionally, his voting record is indicative of his commitment to reforming the tax code and health care system. He voted for the American Health Care Act (H.R. 1628) in its 217-213 passage in the House to repeal and replace ObamaCare, and supported the Tax Cuts and Jobs Act (H.R. 1) through to its eventual passage and signing into law just under two weeks ago. Rep. Lewis has also cosponsored multiple pieces of legislation that FreedomWorks supports, including the Safe, Accountable, Fair, Effective (SAFE) Justice Act (H.R. 4261), the 21st Century AIRR Act (H.R. 2997), the Right to Try Act (H.R. 878), the Agency Accountability Act (H.R. 850), and the Federal Reserve Transparency Act (H.R. 24). Rep. Lewis serves on three committees -- Budget, Education and the Workforce, and Transportation and Infrastructure. As a third-generation business owner, he is well-equipped to work on the Budget Committee. Former Rep. Kline, served as the chairman of the Committee on Education and the Workforce prior to the 115th Congress, so Rep. Lewis is able to further the work done by his predecessor in his service on the committee as well. Looking toward the future, it is clear that Rep. Lewis has a passion for advancing conservative and liberty-focused goals, having taken steps to hold the government accountable and ensure that its policies are effective and evidence-based. For example, his continued work on the Juvenile Justice Reform Act, which would reauthorize and reform the Juvenile Justice and Delinquency Prevention Act, is crucial in promoting public safety, a goal which FreedomWorks fully supports. This legislation would aid in keeping juveniles out of the criminal justice system and away from unnecessary influence by more dangerous criminals, as well as reform the practices used to criminally prosecute juveniles. Additionally, Rep. Lewis most recently voted against the fiscally irresponsible disaster spending package, H.R. 4667, exemplifying his commitment to curbing wasteful federal spending. The bill would appropriate $81 billion in assistance for this past year's hurricanes and wildfires, the largest single disaster relief package in United States history, with no offsets to the cost, on top of the $52 billion already spent on disaster relief throughout the year. Having representatives in Congress like Rep. Lewis to stand up for conservative, fiscally responsible policies and not allow reckless and unaccountable government spending to go unchecked is critical to tackling the larger problem of our nation's debt. 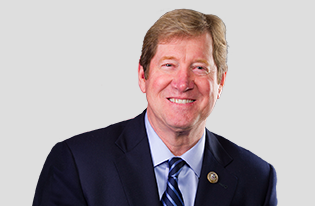 FreedomWorks is proud to honor Rep. Jason Lewis as January’s Member of the Month, and looks forward to seeing what his time in Congress has to offer to continue furthering the principles of limited government, fiscal responsibility, and individual liberty.